Moto G6 which was spotted earlier in the press shot has now surfaced on TENAA in China and has been certified with model number XT1925. Images from TENAA reveal a camera bump and also shows the Motorola logo on the rear. The upcoming handset is expected to come in Blue, Silver, and Gold color variants and also expected to be announced in a weeks time. Nothing about the pricing is known yet but we can expect it to happen soon. 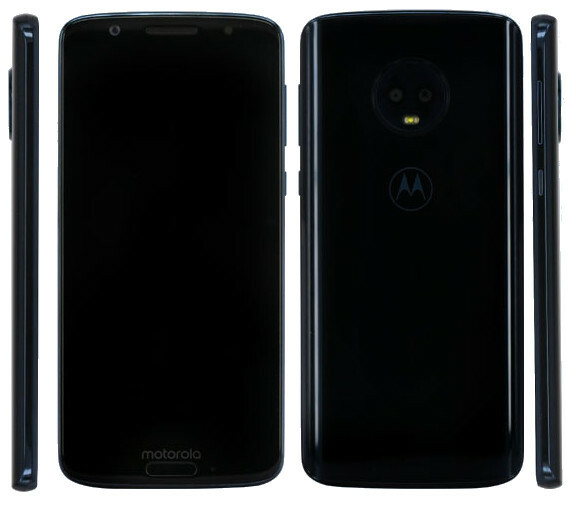 According to the leaks, the Motorola Moto G6, which is the successor of the Moto G5 will be featuring 5.7-inch (2160 x 1080 pixels) Full HD+ 18:9 IPS display with Gorilla Glass on top, to protect it from scratches and minor falls. Under the hood, there is a Snapdragon 450 14nmOcta-core processor with 1.8GHz clocking speed which will be accompanied by Adreno 506 GPU and 3 GB/4 GB of RAM. There is a fingerprint scanner also on the device to enhance the security and it has also become a must feature on all the smartphones. As the device comes in two different variants, it comes with two different storage options also and will be available either in 32GB or 64GB options which can be extended up to 128GB via microSD card slot. The device will come out of the box with Android 8.0 Oreo Operating system and will get further updates also. There is a 12MP primary camera which will be accompanied by a 5MP secondary camera with LED flash. For selfies and video calls, there is a 16MP camera which also has a LED flash option. There will be a 3000mAh battery on the back and is an also dual SIM variant. There are connectivity options like 4G VoLTE, WiFi, 802.11 b/g/n, Bluetooth v4.2, GPS and A-GPS along with many other sensors. Are you planning to get this device? Do you own any of Moto G6 predecessors? Comment in the section below and stay tuned to Android Advices for more news and updates.